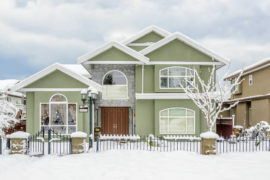 This winter, heavy snow and rainfall were particularly hard on many roofs in Dearborn Michigan. 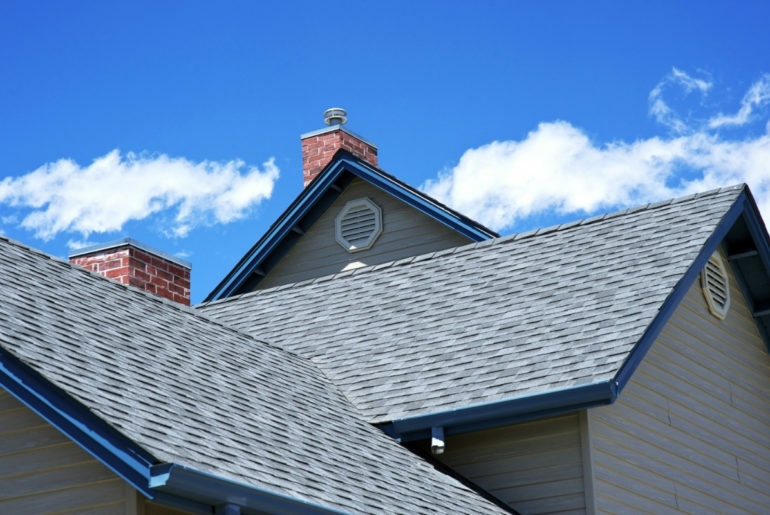 If this winter made you realize that your roof has seen better days, whether because leaks developed, or heavy rain washed asphalt granules onto your sidewalks, then it may be time to consider having your roof replaced this spring. Spring is the perfect time for roofing replacement due to the fact that mild weather can help to prevent delays, and having your roof replaced in spring will also ensure that your house is sufficiently insulated when the heat of summer comes around. However, the biggest obstacle homeowners face when looking to have their roof repaired or replaced is trying to choose the right local roofing contractor for the job. Considering the vital role a roof plays in protecting your home from the elements, it is critical that you find an experienced, honest, reliable roofing contractor to work on your home. 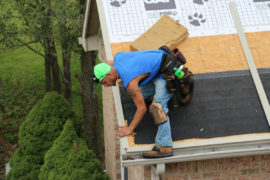 To help you find the right contractor for the job, here are a few tips to help you find a top roofer in Dearborn Michigan. As you begin researching roofing contractors, one of the best ways to find a reliable roofer is to ask friends, family, and neighbors for referrals. Ask other people in your neighborhood who they have worked with and whether they would recommend them. Asking those in your community for recommendations is a great way to find contractors who work within your community who are familiar with building codes and regulations in your neighborhood. Furthermore, first-hand accounts will give you an opportunity to learn what it would be like to work with various roofers. Asking for references is then a great place to start as you narrow down your options, as people you trust are likely to only recommend quality roofers. As you continue to research local roofing contractors, it is important that you take experience into consideration and that you look at how long roofing companies in your area have been in business. 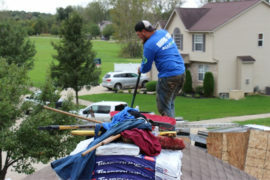 Experience is truly invaluable when it comes to roofing repairs and installation. If you choose a roofing contractor who offers a slightly lower price but has not been in business very long, then you will likely end up with substandard work that leaves you with more problems than you began with. You should then take your time to find a roofer who has been around for a while and has a long track record of doing quality work. Another thing you should look for in a quality roofing contractor is what certifications, designations, and memberships they possess, as this can speak volumes as to the quality of their work. For instance, if a contractor has an Angie’s List recommendation, or they are accredited by, and have a high rating with, the Better Business Bureau (BBB), then this means that they have met certain standards regarding their background, licensing, and average consumer experience that has led them to be recommended by these organizations. It will also speak highly of a roofer’s experience and the quality of their work if they have received a manufacturer’s designation. Manufacturer designations indicate that a roofer has been factory-certified to work with a certain roofing manufacturer and is considered by the manufacturer to be an expert roofer. Only a small percentage of roofers receive these designations, which means that you can trust that a manufacturer designated roofer will be an experienced professional. As you narrow down your options to two or three roofers you may want to work with, your next step will be to meet with each of your top roofers to discuss options for your home and to get a feel for what it would be like to work with them. When meeting with roofing contractors, it is important that you ask for references from recent customers. Reputable contractors will be willing to provide you with the contact information of two or three people whose homes they have worked on recently. Following through on contacting these references can give you a first-hand account of the quality of the work a contractor does. The contractor should also be willing to provide pictures highlighting their work. A contractor who seems hesitant to provide this information is either not very experienced or has something to hide and should likely be avoided. When meeting with roofing contractors, it is also important that you are not afraid to ask questions. This initial meeting is your chance to get a feel for what a contractor is like, and top-level roofers will be more than willing to take the time to answer any questions you may have. Make sure to ask questions about their experience, their technique, what materials they use and manufacturers they work with, and what the build process will be like. This is your opportunity to not only learn more about a builder’s knowledge and experience, but it is also your opportunity to see if you connect with a builder and would feel comfortable working with them. One of the most critical things for you to ask about when meeting with roofing contractors is what kind of warranty they provide on their work, as this will indicate whether or not they are a quality roofing company. While not all roofing contractors offer warranties that include coverage for workmanship, top-tier roofers are proud of the quality of the work they provide and will provide extensive, or even lifetime, warranties on both materials and craftsmanship. Having this extended warranty can be critical as it may take years for defects to show up, and with lesser builders, you may end up having to pay for these mistakes yourself. Looking at these warranties will help to highlight the top roofer in your area as you narrow down your search, as top roofers are willing to provide high-end warranties. Before you consider working with a roofing contractor, you will also want to make sure that they are fully licensed and insured. Make sure to ask for proof of liability and worker’s compensation insurance, and ensure that this insurance covers all of their employees and subcontractors. It is critical that anyone who works on your property is fully insured as you could be leaving yourself vulnerable to litigation if an accident occurs on your property and the contractor is not insured. You will also want to check that the contractor is properly licensed. While most states require roofing contractors to be properly licensed, this does not mean that unlicensed contractors will not try to take on roofing jobs. Reputable roofing contractors will be more than willing to show you their proof of licensing and insurance, as this is a fairly common thing for customers to ask. If a roofer gives you a hard time for asking, then they are likely not properly licensed and insured and should be avoided. Before you choose a roofing contractor, you should consider getting multiple estimates. Even if you think you know which company you want to work with, getting estimates will show you your options and help you to decide which contractor is best for you. It is important that all of the estimates you receive are in writing and are signed. If you only have a verbal estimate, you may find that the price changes drastically once work begins. In fact, no work should begin on your house until you have a signed contract stipulating every detail of the job from the schedule to the price and the financing agreement. As you try to make a final decision, a good indicator of a top-tier roofer is that they will not try to pressure you into a decision immediately after giving you an estimate. Contractors know that such a big decision takes time to make and that you will need to think things over and compare offers. A contractor who tries to pressure you into making a decision on the spot likely has a reason for not wanting to let you have time to think things over, as they may be trying to hide something in the contract. Any contractor who tries to put pressure on you does not have your best interests in mind and should be avoided. Choosing a roofing contractor can be an overwhelming prospect as you will want to find a local contractor with experience providing quality roofing services to your area. However, residents of Dearborn Michigan need look no further than Roofing Dearborn. 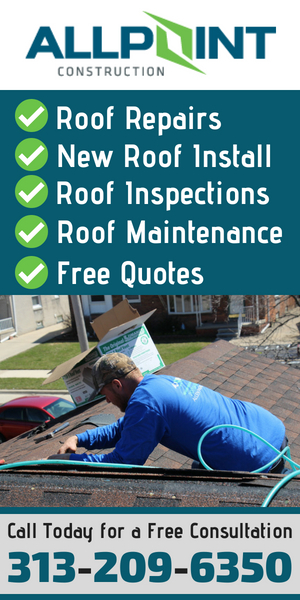 Roofing Dearborn has been providing high-quality roofing services to the Dearborn area for over 20 years, and we strive to provide only the best customer service, which is reflected in the fact that we are recommended by Angie’s List and have an A+ rating from the BBB. 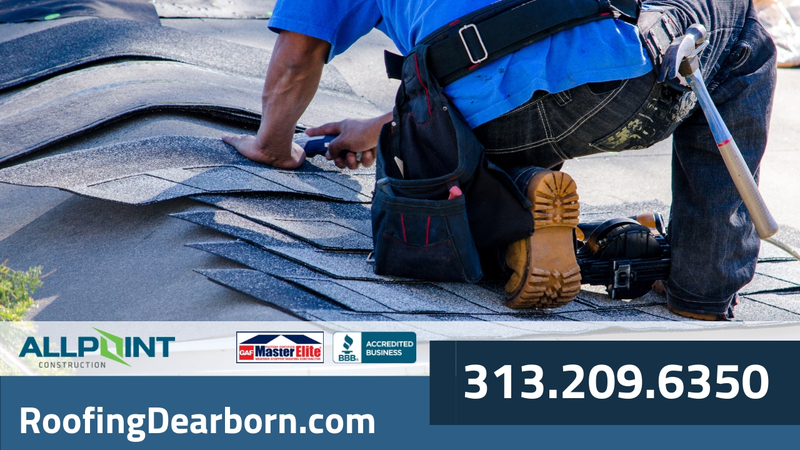 We pride ourselves on being the top roofer in Dearborn Michigan, and if you choose to partner with us for your roofing needs we will work tirelessly to provide you with the highest quality of service. Contact us today to learn about the roofing services we provide.